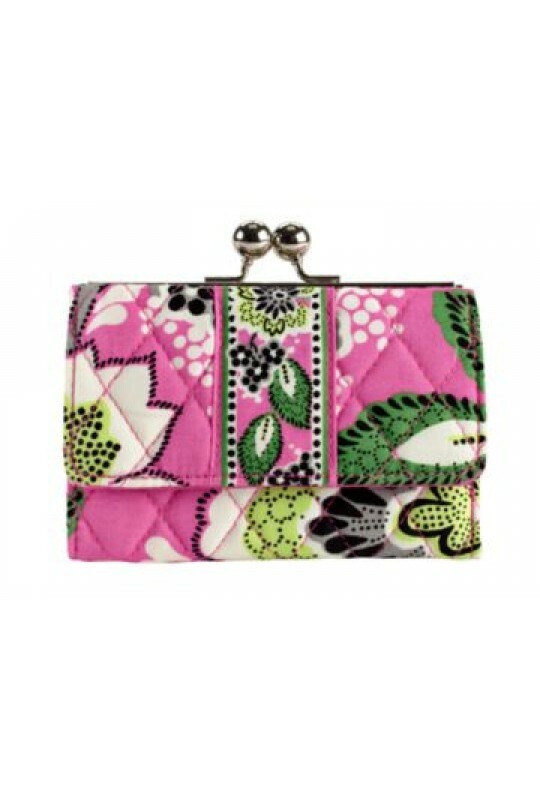 Now you can carry it all in the palm of your hand with this adorably chic wristlet from Vera Bradley®. 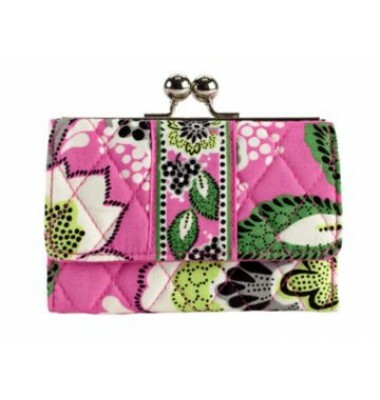 Wristlet-styled wallet made of quilted cotton fabric. Holds your credit cards, currency and ID. Wrist strap. Wristlet drop: 5.5" length. Patterned interior lining with a full length currency compartment, 4 credit card slots and ID window with thumb glide. Dimensions: 3.5" wide x 1.5" deep x 5.5" high.